Undertitle "life in the spirit world"
Intro: first to underline is that the soul or the "living/experiencing center" in the being are not material at all, so the LIFE does not originate inside the brain, as IT is only a physical/material-organic receiver for the real LIFE - originating from another level/dimension. 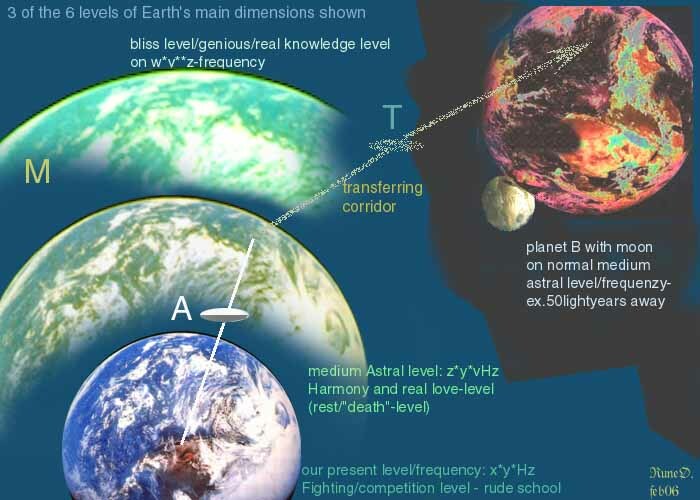 Then the student with the greater view have understood that the being lives on after death - then through another, some similar body on another level, or better said levels, because there are a lot of REALITIES or "spiritual worlds" in many separated frequencies . This is logic shown through the spiritual science; theosophy/Tibetan wisdom, as well as the spiritual cosmology from the Danish MARTINUS, and the spiritist movement. And not at least thru the new "near/back from death"-research, which have now come forth in the last ca.30 years. Here a communication where the "dead Brazilian doctor" Andre Luiz communicates this information on education and work, as well as help - on those other levels while we sleep. With the help of masters living on those and much higher worlds. But our day-conscious minds or memory does not normally recall this - but the sub.consc.does! "….Eusebio had long devoted himself to administering spiritual assistance and had earned considerable credit on our (astral-/near-earthlevel-) plane. He had declined distinguished positions and had postponed his ascent to higher spheres to dedicate himself entirely to those hungering for the light. He was in charge of a prestigious support organization in an intermediate zone, tending to relatively spiritualized learners who were still attached to the corporeal realm, as well as disciples recently delivered from it. The huge institution to which he dedicated his brilliant guidance was populated with souls situated between the lower and the higher planes. They harbored countless problems and questions of all sorts and required his utmost patience and wisdom. However, in spite of the complex services that continued to accumulate, the tireless missionary still found time to descend weekly to the planet's surface. There he would tend to the immediate interests of candidates for discipleship, since they still lacked the spiritual growth needed to come to him and his enlightening instruction in the higher realms. I didn't know him personally. Calderaro, however, received guidance from him in conformity with the hierarchic system, and would speak of him with the enthusiasm of a subordinate who is linked to his superior by bonds of love more than obedience. 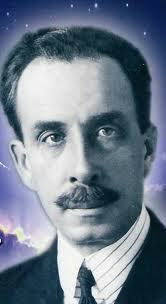 Calderaro, too, rendered active service down on the earth, directly attending to his incarnate brothers and sisters. He had specialized in the science of spiritual help, the kind which, among the world's scholarly types, we might call "enlightened psychiatry," a field that had long held a strong attraction for me. With a week at my disposal without any set obligations regarding my normal duties, I applied for admission to the training team for which Calderaro had become the eminent director. He accepted me with the kindness typical of true missionaries of the good and offered to guide me. He was in a favorable position to assist me with my learning goals because his regular training team had gone to a different region to carry out spiritually constructive activities. In light of this, he would be able to give me his full attention and assist me as I desired. He kindly explained that the cases for which he was responsible didn't present substantial continuity: they unfolded; they were impromptu, subject to unexpected demands or situations. In other areas of action, planning was required, conditions and circumstances were determined beforehand. However, regarding his own set of responsibilities, the norm didn't apply. Problems had to be monitored just like the unforeseen manifestations of life itself. In light of such fluctuations, he didn't strictly plan things out in detail. He carried out his responsibilities wherever, whenever and however the higher purposes might determine. The essential scope of his duties was limited to providing immediate help to unfortunates, preventing insanity, suicide and severe moral downfalls as best he could. To accomplish this, the industrious missionary had to posses a deep understanding of the psychic forces at play, with special dedication to the good of his fellow brothers and sisters. In this particular, Calderaro left no doubt. His spontaneous goodness was a sign of his virtue, and his unshakable serenity revealed his wisdom. I had just joined him; we had met for the first time the previous day. Nevertheless, it had taken no more than a minute of mutual affinity for there to be a sound rapport between us. Although I recognized his verbal temperance, from the moment we met we spoke like old friends. Thus, following him with a soul edified by fraternity and trust, I found myself a short distance from a large park right in the middle of nature. All around, sturdy trees with rustling branches were lined up like sentinels purposefully positioned to watch over our work. The wind blew, singing in a whisper. Illuminated by light imperceptible to the human eye, the place held a few hundred fellow spirits temporarily disengaged from their physical bodies by the liberating power of sleep. Friends from our realm were diligently assisting them, showing devoted interest, pleasure in serving, and saintly patience. I noticed that many of them were standing; others, however, had sat on mounds of earth covered with soft grass to engage in serious and respectful conversation. "In today's meeting, Instructor Eusebio will receive students from various branches of spiritualism, and who are candidates for front line work." "Oh!" I exclaimed, inquisitively. "So, this meeting isn't a gathering of individuals affiliated indiscriminately with various schools of faith?" "That wouldn't be advisable within the scope of our area of specialization. The Instructor has a particular fondness for assisting incarnates and individuals who have been freed recently from the physical plane, and he needs to make use of his time delivering lectures for maximum benefit. The diversity of principles found in hundreds of individuals, each with his or her own opinion, would lead to too many digressions and would cause a regrettable waste of opportunity." "There are approximately twelve hundred people here. Out of that figure, eighty percent are learners from spiritualist churches of various branches, but they are incapable of great flights of knowledge, despite their aspirations to take part in the Divine Plan. They have an excellent potential for virtue. They examples goodwill and are working on their inner enlightenment through praiseworthy efforts. However, they still haven't developed a core of trust. They quake before the common storms they meet on the pathway and they hesitate in the area of the trials they need for the enrichment of their souls; thus, they require our special care. Through their diligent efforts in spiritualizing work, they are the future instruments for the endeavors that lie ahead. In spite of the clarity of the rules they live by, they still suffer disharmony and afflictions that threaten their incipient stability. Even so, they aren't left without the assistance they need. In our spheres of action, institutions for restoring their energies open their welcoming doors to them. Freedom from the body during sleep is the direct resource of our manifestations of fraternal support. At first, they receive our influence unconsciously; then their minds are slowly strengthened and they begin recording our concourse in their memory as we give them ideas, suggestions and opinions along with beneficial and redeeming inspirations by means of imprecise recollections. "The rest are coworkers from our plane who are here to carry out tasks of assistance." The organization of the meeting was truly worthy of admiration. We were in an area that was substantially terrestrial. Impregnated with aromas spread all around by the breeze, the atmosphere reminded me of a warm night back at my garden-surrounded home on earth. they take advantage of that gift with enough understanding of eternal values? Would they march fearlessly onward, or would they draw to a halt upon contact with the first obstacles of their illuminative endeavor? "Our group is essentially dedicated to the maintenance of balance. You are of course aware of the fact that changing an individual's mental plane is never forced: it is the fruit of time, effort and evolution. In today's world the edifice of human society has been shaken to its very foundations, compelling a huge number of people to unexpectedly seek self-renewal. You surely wouldn't be surprised if I told you that, with the rise of the modern mind and its paralyzing collision with the sentiments, reason is at risk. Material progress has numbed the souls of heedless men and women. For centuries, masses and masses of individuals have been far removed from the spiritual light. A purely scientific civilization is like a devouring Saturn, and humankind nowadays is faced with implacable demands for accelerated mental growth; hence the urgency for our assistance. The need to prepare the spirit has intensified at an appalling pace. At that moment, we reached the peaceful crowd. "Chance doesn't perform miracles. Any undertaking requires planning, execution and completion. The miracle of changing a physical person into a spiritual one requires a lot of collaboration on our part. "The sublime wings of the eternal soul cannot spread out within the narrow confines of a hatchery. One must work, improve, endure." At that moment, someone approached us. It was a thoughtful coworker informing us that Eusebio had arrived. In fact, the missionary appeared prominently nearby, flanked by six assistants surrounded by auras of intense light. The selfless instructor didn't show any traces of the venerable old age we generally associate with apostles of divine revelation. He had the appearance of a robust man in full spiritual adulthood. His dark, peaceful eyes resembled founts of great magnetic power. Smiling, he looked at us as a colleague. His presence imposed a respectful silence. All conversation stopped, and amidst the threads of light the workers from our plane were weaving all around to isolate us from any possible assault from low order energies, only the calm breeze lifted its voice, whispering beautifully and mysteriously to the foliage. We all sat down to listen, while the Instructor remained standing. Observing him almost face-to-face, I admired his majestic appearance, emanating security and comeliness. His serene face radiated unsurpassed goodness, understanding, tolerance and gentleness. His loose, light-green tunic emitted emerald sparkles. 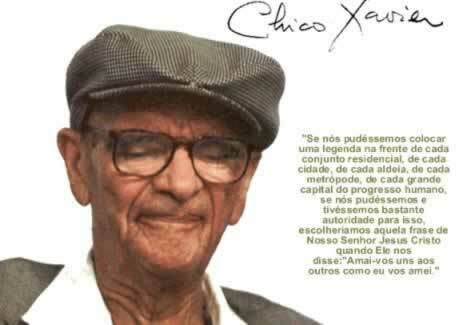 His vigorous personality instilled us with veneration, tenderness, trust and peace. Rends the veil of our existence. Lord, of ourselves we can do nothing. So that the divine seeds do not perish. more but this is only extract! "Once again in Calderaro's (one of the guides there) company on a bright morning, I was focused on my plans of expanding my ideas regarding the manifestations of life close to the physical realm. At the spirit colony, which had welcomed me with loving care, I had gotten to know a few instructors and faithful laborers of the good very well. Unquestionably, we were all engaged in intense work, with very few hours reserved for entertainment. We also enjoyed an environment of happiness and joy that truly benefited our evolutionary progress. Our houses of worship were blessed places of comfort and revitalization. In our cultural and artistic associations we found the continuity of our earthly existence, but it was now enriched with multiple educational elements. Social activities offered plenty of wonderful opportunities to develop priceless friendships. The homes in which we carried out our long-term work were built amid enchanting gardens resembling warm, cheerful nests in fragrant and peaceful branches. We had ample directives, duties, order and discipline; nevertheless, serenity was our climate, and peace our daily gift. Death had cast us into a sphere foreign to the physical struggle. The first sensation had been shock. We had been seized by the unexpected. We continued living, but without our physiological apparatus; however, these new conditions of existence didn't mean a reduction in the opportunities to evolve. The grounds for healthy competition and the potential for spiritual growth were infinitely profitable. We could seek the help of higher powers, foster edifying relationships, weave hopes and dreams of love, and plan more-constructive reincarnations by improving ourselves through our work and study and by expanding our capacity to serve. In short, the passageway through the grave had led us to a better life. But ... what about the millions who had crossed over the narrow threshold of death, and who were still attached to the physical plane? becoming horrid specters of darkness, much like what occurs on earth with obstinate criminals who are segregated from healthy society. But they always ended their insane wallowing in the dark recesses of remorse and suffering by finally repenting of their wicked deeds. Repentance, however, is a path to regeneration and never a direct passport to heaven, and for that reason these pitiable spirit wretches resembled living portraits of suffering and dread. On many occasions, I saw them, troubled and afflicted, assuming forms difficult to look at. In cases of obsession, they turned into mutual tormenters or cold-blooded torturers of incarnate victims. Whether roaming about or confined to areas of punishment, their display of endless pain and misery was always shocking. The reality, however, was that, these unfortunates had passed through the exact same doors as we who continued working at our normal pace, and perhaps in many instances we had abandoned our material envelope under the siege of the same ills. Considering this possibility and wishing to acquaint myself with Divine Law - which neither grants a heaven of privilege nor establishes a hell for eternity - it grieved me to contemplate such long ranks of unfortunates. Actually, I had come across many of them in the rectification chambers of several charitable institutions. These patients, however, housed in sectors of fraternal assistance, already showed signs of improvement because they had acknowledged their wrongs or had received spiritual credit, thanks to certain intercessory powers. On the other hand, the unfortunate beings I am referring to had other origins. They comprised the ignorant, the rebellious, the troublemakers, the unrepentant, souls impermeable to any edifying advice, the infatuated and the vain of every sort, persisters in evil, wasters of vital energy in their wicked attitudes toward life. On several occasions, my contact with them had been merely a fortuitous encounter, with no noteworthy learning on my part. The questions remained: why did they linger for so long in the obscure sphere of incomprehension? Were they deliberately postponing receiving the light? Didn't their condition as self-condemned beings to long-term punishment grieve them? Weren't they ashamed of their intentional waste of time? I often stopped to look them over: the facial features of many of them looked monstrous, provoking irony and pity. What law governed the stereotyping of their forms? Had Mother Nature, who lavished her blessings on all planes, forsaken them? Or had they received such personal features as punishment imposed by higher designs? These questions kept swirling in my mind, prompting me to try to find an opportunity to get them answered. Eager to start, I approached Calderaro that morning. I explained my questions, describing my long-held expectations to his tolerant ears. I planned to find out more about those who kept themselves in evil, crime and inconformity. "Before anything else, Andre, let's look at the issue differently. In order to become true helpers for suffering spirits, whether discarnate or not, we must understand wickedness as insanity, rebelliousness as ignorance, and despair as infirmity." 'Actually, these definitions aren't something I came up with myself. We learned them from Christ in his divine dealings with our lowly position on earth." "Spiritual blindness is the result of dense ignorance in primary manifestations or the murkiness of reason in severe states of degradation. In assisting the unbalanced mind, we are interested in analyzing this latter aspect of the darkness that weighs upon the soul. Thus, it is crucial that, to some degree, you understand insanity within the ambit of civilization. To do so, we must study in more detail the disharmonious brains of incarnate and discarnate individuals, for the brain is the seat of manifestation for spiritual activity." "I don't have much time to discuss matters outside my scope of service. Even so, let's approach this together, convinced that if we labor in good deeds, we will continue to learn the science of spiritual growth." "Words used in the service of the good are the divine cement for immortal accomplishments. Hence, our conversation will serve our fellow beings in a substantial way, with increased benefit to ourselves." I kept silent, feeling particularly uplifted. I accompanied him and in a few minutes we entered a huge hospital on the physical plane, stopping in front of the bed of a particular patient the Assistant was going to help. Worn out and pale, the patient was connected to a pitiable spirit from our plane in a miserable situation of debasement and suffering. Although almost motionless, the patient's nerves were acutely tense, even though he couldn't see his sinister-looking companion. They seemed viscerally tied to each other - such was the abundance of extremely fine threads that kept them mutually entangled from chest to head, reminding me of two prisoners caught in a fluidic net. Thoughts that belonged to one were obviously living in the mind of the other. Troubles and sentiments were being exchanged between them with mathematical precision. Spiritually, they continued to be perfectly identified with each other. I was astonished to watch the flow of their shared mental vibrations. "Examine the brain of our incarnate brother." I focused my attention on the delicate apparatus, concentrating my visual capacity to analyze it on the inside. The skull didn't offer any resistance to my heightened visual abilities. Just as I had seen on other occasions, there lay the complicated area of mental production, resembling the most complex laboratory but the least accessible one as well. The separate circumvolutions were joined together in lobes that were equally distanced from one another by fissures, giving me the impression of an electric motor almost inaccessible to humans. As I compared the two hemispheres, I recalled designations of classical terminology and spent several minutes observing the special arrangements of the nerves as well as the characteristics of the grey matter. Astonished, I noticed for the first time that the radiations emanated by the brain contained essential differences. Each motor center was marked by diverse particularities through its radiant energies. I was surprised to discover that the entire cerebral region was divided into three distinctive areas delineated by luminous markings. The areas of association in the frontal lobes were sort of glistening. This effect decreased from the motor cortex down to the tip of the medulla oblongata, and got even weaker in the basal ganglia. "You have examined the brain of our friend who is still attached to his physical body. Now observe the same organ in the discarnate friend who has such a direct influence on him." The spirit wasn't aware of our presence due to the circle of coarse vibrations in which he kept himself. All of his attention was fixed on the patient, reminding me of the sagacity of a feline watching its prey. "We'll deal with the wound during the assistance work. Focus your visual capacity on the brain." After a few moments I concluded that, apart from the arrangement of the parts and vibrational rhythm, I was looking at two almost identical brains. The discarnate spirit's mental field was different, displaying some superiority in the area of the grey matter, which, in the perispiritual body, was lighter and less dark. I got the impression that if we were to wash the inside of the brain of the fellow lying on the bed, cleaning it of certain heavier particles, it would be essentially the same as the brain of the spirit I had been examining. The luminous divisions, however, were the same in all respects: more light in the frontal lobes, less in the motor cortex and almost none in the medulla, where the radiations were diffuse and opaque. After an accurate examination, I stopped my comparative analysis to gaze at Calderaro in silent questioning. 'After physical death, what is most surprising is the discovery that we are still alive. Here in the spirit world we learn that the perispiritual body, which gives us form in a lighter and more malleable matter after the grave, is also the result of the evolutionary process. We are not miraculous creations destined as adornments of a cardboard paradise. We are God's children and heirs, acquiring qualities from experience to experience down through the millennia. There is no favoritism in the Universal Temple of the Eternal, and all the powers of the Creation are perfected throughout the Infinite: the embryonic consciousness existing in the rock that rolls along with the river current is involved in a process of emergence. The trees, often standing tall for hundreds of years, enduring the gales of winter and lulled by the breezes of spring, are developing memory. The tigress licking her newborn offspring is learning the rudiments of love. The ape, through its shrieks, is developing the faculty of speech.4 Yes, God has created the world, but we are still far from the completed opus, as the beings that inhabit the Universe will toil in sweat for a long time improving it. The same goes for us individually. We are the Divine Author's creation and we must perfect ourselves completely. The Eternal Father has established as a universal law that perfection must be a work of cooperation between him and us, his children." Calderaro was quiet for a few seconds, and I couldn't bring myself to make any comments on his lofty concepts. "I don't think any reference to the primordial endeavors of our long drama of evolutionary life is really necessary. From the amoebae living in the lukewarm water of the ocean to human beings, we have invariably been struggling, learning and selecting. Footnote 4 In Part One, Ch. IV, question 71 of The Spirits Book, Kardec explains:"... first, inanimate beings, formed of matter alone, without vitality or intelligence - these are the solid bodies of minerals; second, animate, non-thinking beings, formed of matter and endowed with vitality but not intelligence; third, animate beings, formed of matter, endowed with vitality and possessed of an intelligent principle that gives them the ability to think" Read further, question 585 et seq., chap. Xl, "The Three Kingdoms!'-Tr. To acquire motion and muscles, faculties and thoughts, we have experienced life and have been experienced by it for thousands of years. The pages of Hindu wisdom are writings of just yesterday and the Good News of Jesus Christ is the subject-matter of today, when compared to the millennia we have lived on our progressive journey." "In the nervous system lies the primitive brain: the repository of instinctive movements and seat of the subconscious activities. We could picture it as the cellar of one's individuality, where we store all our experiences and register the minutest incidents of life. Then, in the region of the motor cortex, which is the intermediary area between the frontal lobes and the nerves, lies the developed brain, consolidating the motor powers our mind uses for the essential manifestations in the current evolutionary instant of our way of being. In the frontal lobe planes, still silent to the world's scientific investigation, lie substances of a sublime nature, which we will gradually access in our efforts at ascension. These lobes represent the noblest part of our evolving divine organism. These simple, wonderful explanations thrilled me. Calderaro was an instructor of the highest ability. He taught without ever seeming tired, and he knew how to lead learners to a profound understanding without great difficulty. On the first floor, we find the 'residence of our automatic impulses,' symbolizing the living summary of the work we have accomplished. On the second, we find the 'domicile of current acquisitions,' where the noble qualities we are building are developed and consolidated. On the third, we have the 'home of superior concepts,' indicating the higher qualities we must yet attain. In the first dwell habit and automatism; in the next, effort and will; in the last, the ideals and higher goals to be reached. In this way we distribute the subconscious, the conscious and the super -conscious among the three stories. As we can see, we possess within us the past, the present and the future." During a longer pause I gave free reign to my ponderings, according to my old inquisitive habit. His priceless explanations were straightforward and logical; nevertheless, I asked myself: could the brain of a discarnate be subject to illnesses too? I knew that in the corporeal world, the grey matter could be attacked by tumors, softening or hemorrhage. But in the new realm to which death had led me, what kind of illnesses could beset the mind? 5 French anthropologist and pathologist, born June 28, 1824, died July 9, 1880; surgeon closely associated with the development of modern physical anthropology in France and whose study of brain lesions contributed significantly to understanding the origins of aphasia, the loss or impairment of the ability to form or articulate words. Tr. 6 Born March 7, 1857, died Sept.27, 1940; Austrian psychiatrist and neurologist whose treatment of syphilitic mening encephalitis, or general paresis [progressive dementia and generalized paralysis due to chronic inflammation of the covering and substance of the brain (meningoencephalitis)], by the artificial induction of malaria brought a previously incurable fatal disease under partial medical control. His discovery earned him the Nobel Prize for Physiology or Medicine in 1927. www.britannica.com. -Tr. -who dedicated himself to curing paralysis by pursuing the syphilis spirochete until he found it in the recesses of the grey matter, disturbing the motor areas. In light of such phenomena, it is understandable that cerebral harmony is broken as a result of the compulsory withdrawal of the principles of the perispiritual body from the cellular clusters of the physiological field. As a result, these clusters become disorganized in their structure and regular activities, much like a violin that is unsuitable for performing a musical piece perfectly because one or two strings are out of tune. We should not and cannot ignore the laws that govern the domains of the body ... Hence the impossibility of our wanting to have 'balanced psychology' without 'harmonious physiology' in the sphere of human science - this is a moot point. We shall refer only to spirit manifestations in their essence. You want to know if a discarnate mind can become ill ... What a question! Don't you believe that deliberate evil is a disease of the soul? That hatred does not constitute a terrible pathological state? Furthermore, don't you believe that sadness and non-resignation are 'mental worms'? Although we have the fortune of acting in a subtler and lighter body - thanks to the nature of our thoughts and aspirations, already far removed from the dense zones of the life we left behind - we still don't have the brains of angels. The preservation of our current body is an incessant endeavor on our way to more far-reaching achievements. We cannot rest during our process of enlightenment. We must continue to purify ourselves, select our inclinations and scrutinize our concepts so as not to halt our progress. Millions here live in the same conditions we are in, but millions of others remain in the flesh or on lower lines of evolution, under the iron hand of heartrending dementia. It is for these that we should consider the pathology of the spirit, assisting the most unfortunate ones and interfering fraternally and indirectly in the solution of the difficult problems in whose black threads they are entangled. They are spirits in despair, victims of themselves in a terrible harvest of thorns and disillusionment. The human perispiritual body, the vessel of our manifestations, is for the time being our highest achievement on earth in the chapter of forms. For enlightened souls already illuminated by redemptive light, it represents a bridge to the higher realms of the life eternal that we have not yet reached. For coarse spirits, it is a crucial and just means of restriction. For guilty consciences it is an indefinable prison, for it registers the wrongs that have been committed, storing them with all the vivid details of the dark moments of failure. The type of life each person has led in the corporeal envelope determines the density of the perispiritual organism after the loss of the physical body. We know that the brain is the tool that bears the mind, the fountainhead of our thoughts; therefore, it is through the brain that we connect ourselves to either the light or the darkness, to good or evil." "We are examining two sick beings here: one in the flesh and the other outside of it. The brains of both are compromised and completely attuned to each other. Spiritually, they have rolled down from the third floor (where superior concepts are located), and yielding to their unrestrained will, they missed the chance to take shelter on the second floor (the seat of personal effort), and have lost a valuable chance to pick themselves up again. Thus, they have fallen into the sphere of instinctive impulses, where all previous animalistic experiences are recorded. They both detest life; they hate each other; they despair; they harbor ideas of torment, affliction and vengeance. In short, they're insane, even though the world can't perceive the extreme imbalance in their perispiritual organism." "Quiet your anxious questioning, my friend. Be patient. In the course of our work, I will give you the explanations within the reach of my understanding." Recommend particulary A WANDERER IN THE SPIRIT WORLD of Franzesso - a must read online book on the theme from more than a hundred years ago.